The past two weeks I have been working with 5 classes of 9th grade English Students. What started out as a simple research project has turned into a fully functional Mobile Learning Unit! Students were then asked to watch 6 different speeches and repeated the process of using Google Moderator to suggest what should go in to a good speech. Students were then asked to submit their choices for who they would like to research using a Google Form. 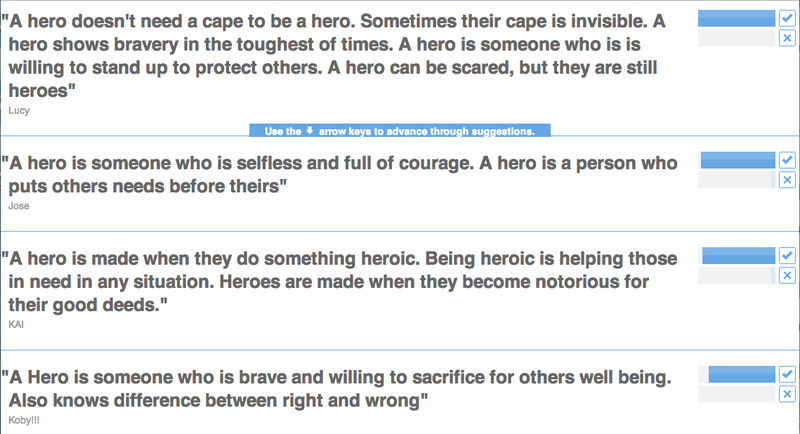 Students are now in the process of conducting research on who they think is a hero. They are to be sure to provide evidence that their person meets the criteria of a hero as selected by the class. Finally, students will peer evaluate both the speeches and the heroes their peers chose, using the rubrics generated by the Google Moderator Activities, copied over into a Google Form.